Hello, dear fans of the S.T.A.L.K.E.R game and OGSE mod! As you already know, we are now in the open beta testing of 0693 version. Today I want to tell you the news about the OBT and the mod's further development. Hello, dear fans of the S.T.A.L.K.E.R game and OGSE mod! As you already know, we are now in the open beta testing of 0693 version. Today I want to tell you the news about the OBT and the mod's further development. 1. Fixed most of the CTDs of type "error in stalker with visual" - the cause of these crashes, as it turned out, was in the game engine. At some point in the development of the game GSC developers had completely changed the principle of characters animation, dividing animations for the legs and torso apart. However, some number of routines in the engine wasn't changed according to this, and in some situations these routines were called and tried to assign to the NPC no longer existing animation cycles with the names by the old patterns. 2. Fixed all of the CTDs of type "e_parent && e_entity" - their cause was also in the original game's engine, they arose from the fact that several object deletions routines was not checking the existence of the object at all, which led to crash as a result of erroneous deletion tries of already non-existent objects. 3. Fixed all of the CTDs of type "Invalid graph point neighborhood" - the reason was in the engine, too. Due to a bug in the pathfinding routine the engine periodically searches for ways and can not find a route, which leads to CTD, while all it had to do is invalidate the path and restart the search process. This in fact looks like the engine's developers just forgot to remove from release some purely debugging features that are not required anymore. 4. Fixed one of the oldest problems of the original game - CTDs during removing of cartridge packs from corpses. As it turned out, when NPC is dying, the game engine for some reason is cleaning out all their cartridges for the main weapon from the inventory. Exactly the same thing at the same time is being done by the postmortem script loot manager. That causes the problem when the same clip is sending to removal procedure twice - first by the game engine, and then by the loot manager, resulting in ambiguous situations that caused CTDs. 5. Fixed the old CTDs of type "error handler is invoked! 804", which stretches through many different game modifications, occurring in the mods including AI scheme for throwing grenades during the battle. If the player presses F key to take some object they get this CTD. The reason was simple - AI scheme used a special sighting grenades invisible for player to determine the fact of successful throw. These grenades just haven't one critical parameter - necessary object name. 6. Fixed the problems with the change of actor's visual after dressing outfits. The problem was purely in the engine; the code for changing visuals was incomplete and contained many dirty hacks, which led to many problems. 7. Fixed a problems with invisibility of attachable objects in cases where the NPC is already activated one of them. The most famous example - a Wolf's radio, which is not visible when the conversation was happening at night - due to the fact that he has active flashlight. Again purely engine's problem - as it turned out, the code of activation of attachable objects in the engine is as well incomplete and contains dirty hack, which resulted in fact that the NPC could have only one attachable object active. 8. Fixed a big number of problems of the original game related to the scripting part of the game: assigning roles for works in the camps, patrol AI scheme, campfire AI scheme and many others. In addition to these problems, there was a lot of our own issues, the correction of which are underway. But in general, we are very pleased with the reviews of beta testers. According to them, we managed to do that nobody has been able for a long time - to do a S.T.A.L.K.E.R SHoC interesting and playable again. As they are saying, the main factors is primarily an advanced artificial intelligence and new locations with lots of quests and additions to the main plot, and also new graphical features. New autonomous combat AI have something to surprise even the most experienced players, AI behavior schemes are polished to become much more real and work more accurate, and locations and quests deserved the praise for atmospheric and organic inclusion in the game world. We do not use a template approach or restore the old style of the plot - the most striking locations, such as Darkscape and Dead City have been implemented completely differently from planned in early game builds or in any other modifications. Graphical improvements, on top of everything else, make old SHoC look much better than Clear Sky or Call of Pripyat. The biggest news - we found a talented developers to work on a weapons part of the mod. At the same time, it seems we will be able to fully utilize our special weapon add-ons framework, long ago realized, but not used due to the lack of weapons models. This framework implements interchangeable weapons addons, that would mean that in our mod you can now put on a weapon with a few sights of different types, and different underbarrel devices - not only grenade launchers but also the masterkey-like shotguns. 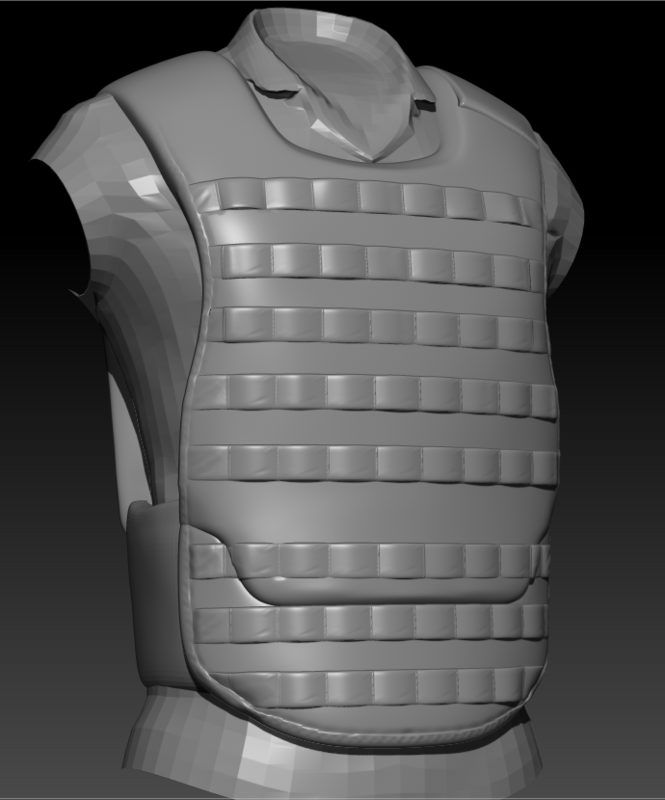 The same thing can now be flexibly implemented for weapons magazines to make upgrades for them and many other add-ons. The new team of the weapons developers had already adopted a common hands standard and began work on main weapons. 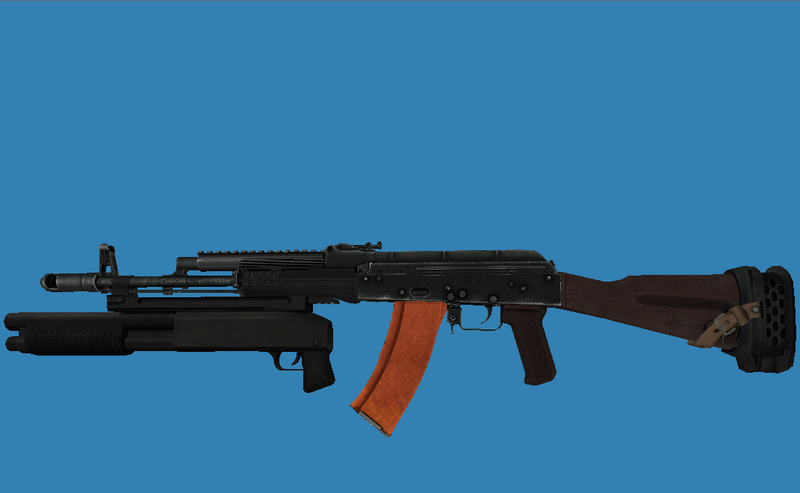 First of all, we doing the weapons of the Warsaw Pact, and with them we release a full modification. After that we will make an additional package with weapons of NATO countries. The English version, as we plan, will include both weapon lines out of the box. In addition, we found a talented developer of NPC visuals. 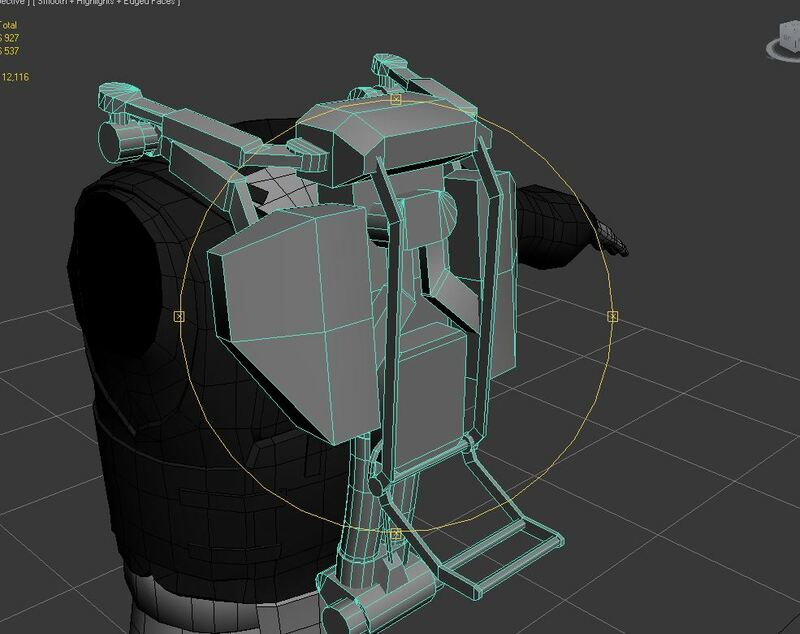 Now he has corrected most of the problems of vanilla game's visuals, such as for example the twisting wrists of newbie stalkers, and now working on two serious reduxes - complete redesign of the military personnel and exoskeleton wearers. Both should eventually become a lot more believable and detailed - it has long lacked, since almost no modification for them is ever done. We, the developers of engine and scripted part, are now actively working out existing problems and shortcomings, and planning additions that we can add and debug before release. In general, the development is very active now, testing is also actively moving and at this moment 0693 are tested by at least a thousand people, and with this wonderful potential we have every opportunity to make our mod the best of all time in the history of S.T.A.L.K.E.R SHoC modifications. Only thing we need for this now is to have enough free time. 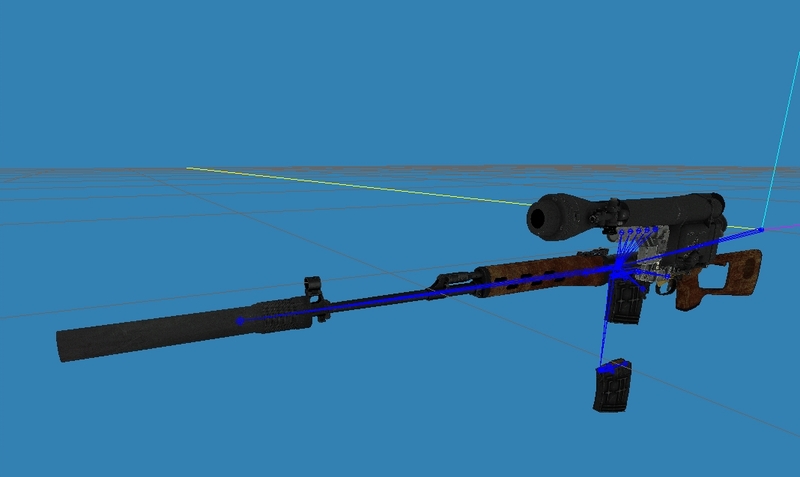 One question about weapons, you said that now we will be able to attach different types of scopes to the same weapon, I'm just wondering how will you do that, are you using something like a model switch script or did you modify the engine so that now one weapon model can have multiple attachments? Both of them. This weapons system requires scripting system for seamless add-ons installation alongside with engine modification what allows us to show or hide needed model's bones. WOW! Nice work! I'm really looking forward for this mod! 3) Your PC must have at least 3 Gb's of RAM physically available. 4) Windows XP or Windows 7/8 x64. Win 7/8 32-bit versions aren't supported and mod wouldn't install on them. If you have all of above - be welcome. Visit our forum - www.ogse.ru for download links, updates and techical support. А адаптация к steam/ww версии ожидается? Можно ли присоединится к переводчикам для англ. версии? Да, адаптация будет, разумеется. Присоединиться можно, но зависит от уровня вашего английского. Какой у вас уровень владения языком? Нужно, чтобы вы владели языком на уровне как минимум IELTS 7.0, TOEFL 110, или CAE ну или хотя бы IELTS 5.5 – 6.5, TOEFL 100, FCE на А или В. Hey. I've been itching to try the OBT, only the installer will always give me an error, probably because of my game version (Steam). However, I have the GOG russian version of SoC too, and I'd like to try it out. Could you provide an archive of the mod without installer? Can you please describe the error installer gives you? OBT must install on GOG russian version without any problems actually. When I open the installer it displays an info message, I click OK, and then it immediately shows an error and closes. I have Windows 7 Ultimate x64. Could it be because I only have 3GB of RAM? Yes, if not all of your 3 Gb's of RAM are accessible for use in Windows. Still, can't you provide an archive version without installer? But still, you need at least basic knowledge of Russian - it will be almost impossible to play without it. Does it now work with the steam version ? The russian modding community is tempting me to learn Russian. Underbarrel shotgun would be like Christmas for me! Are shotgun addons even a thing in real life? They are real En.m.wikipedia.org. These thing created not with combat in mind, but mostly to bust open locks and doors. Will do it after OBT. Testers already found some minor bugs there, so I better wait for a while before releasing standalone version, maybe they'll find something more to fix. 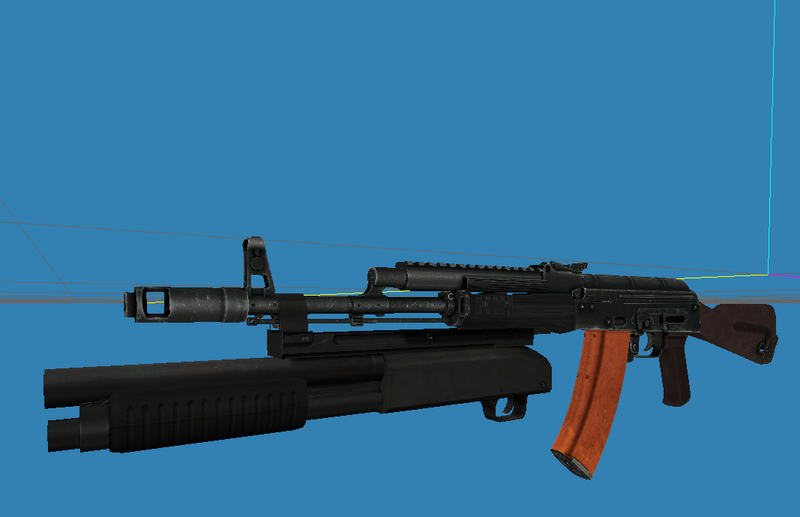 Will the AK's always have that extremely ugly rail system? Yep, excluding first series, they haven't ANY rail system at all. "The English version, as we plan, will include both weapon lines out of the box." So there IS a planned english version of OGSE? a promising version of the game you offer there,can you tell me when this masterpiece will come out?at least approximatly when like this year or later? Russian version as OBT were released long ago. 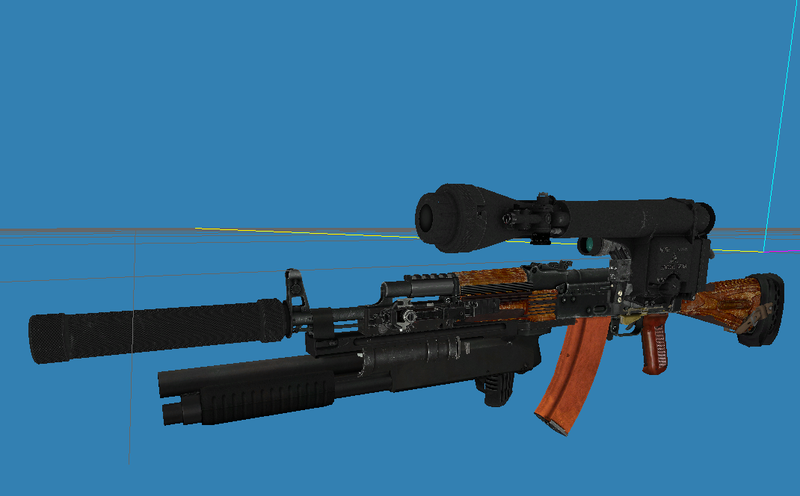 Final release of Russian version will be after replacement of all weapons. New weapons are building by the third-party devs. English version is the biggest problem. We lost our translator. Hello I downloaded the russian version of the game and updated it to the required version but i get a popup error when i try to install the game but i cant see it because i have no cyrilic on my pc. Do you know maybe why it wouldnt work. The game itself worked okay but it wont work when i try to install OGSE. This sounds fantastic! But I do have a question. Will this mod force you to play only in master level difficulty like 0.6.9.2 does? (If 0.6.9.2 doesn't, can someone please tell me how to get the mod to run the game on a lower difficulty level?!?!). Beautiful work on this mod, and the new one looks amazing... But wow, the difficulty is really excessive and way to stressful. I'm not sure I'll even get through 0.6.9.2 at this rate, even though I love the additions this mod does (and always have). Hello everybody, I have a simple question about how to get the 3rd person view by using F1, F2, F3 and with the modification of user ltx? Thanks in advance and congratulations for this mod. 3/ holywoodish musical ques -> bleah! WHY ? this is stalker not american B horror. 4/ Economy is absolutely bananas. like 50k for medkits? For mod that calls it self "Good Old Stalker" It violates "Old Stalker" tone pretty heavily. Other things are great tho. the magazine system, weapon customizations, weather effects, edits of old maps with new detail all those things are amazing job!